You are so not going to believe this story, but I swear, it’s all true. Last week a gal from a PR firm in Los Angeles called. They’d found our blog somehow. They’re doing publicity for the DVD release of the movie Chicken Little, and she wanted to know if we’d enter their “Search for the Real Chicken Little” contest. All I had to do was measure our smallest adult chicken and email her a picture. Today she called to say we’re one of two finalists in the contest. So we’re all flying to LA – with Silkie Chicken – next week. Had to take Silkie Chicken to the vet today to get her health certificate so she can fly on the plane. I told you it sounds made up. So Monday they’ll bring us – and Silkie Chicken – to Burbank for the publicity event. They’ll have a runway set up, and they want the 2 chicken contestants to walk down the runway. They’ll be filming all of this. Also on the scene will be 100 stunt chickens. And their trainers. I don’t remember stunt chicken trainer being on the list of career choices my high school counselor gave us. Who knew? So wish us luck. It will be quite the experience. While we’re out there they’re sending us to Disneyland, so looking forward to that. So many things to do before we leave. Like give Silkie Chicken a bath. 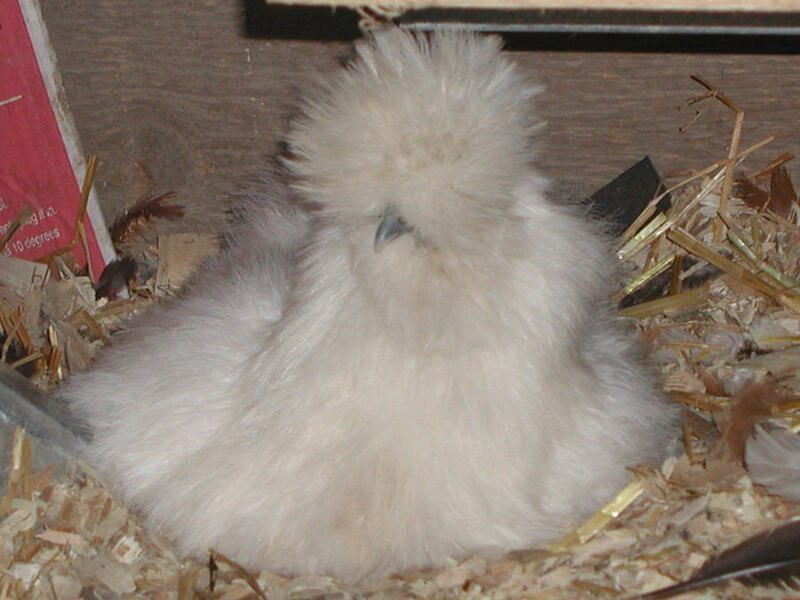 Congratulations Silkie Chicken! That sounds like such a treat! I hope Silkie wins. Enjoy your time in California! How wildly fun … and amazingly unbelievable! Have fun and take lots of pictures to share with us! This is a great story!! Do your little ones get to go too? That would be worth taking them out of school, IMHO. Wow, love this news! Silkie Chicken is just amazing. Congratulation and good luck!I am looking forward to see the photos! Have fun and enjoy your trip! Ahhh! That is so GREAT! Hope you have a good cow-sitter lined up! :)Let us know when it’ll be on TV… and take tons of pics!I hope your Silkie wins!!! OMG! How fun is that!?? ?Have a great time — and take lots of pictures — we’re all anxiously awaiting the detils of Silkie’s debut! OMG! That is awesome! I hope she doesn’t get stage fright. Now I can truly say I know a celebrity! Can I have her autograph?